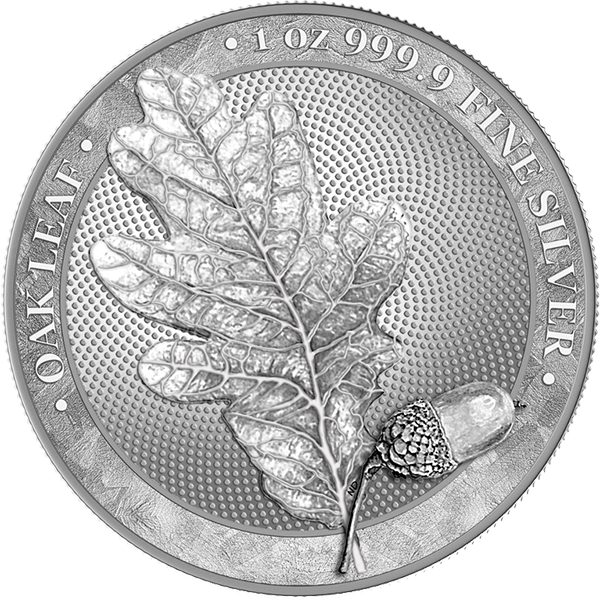 Oak Leaf 2019 - Germania Mint Bullion and Commemorative Coin Manufacturer. The design of the coin is devoted to the theme of an oak tree. The Germanic peoples treated this plant with greatest reverence, they worshiped the oak and believed that ghosts and gods lived inside it. It was also believed, that its fruits – acorns, were responsible for fertility, which was one of the magical abilities of an oak tree. On the obverse we can find an image of a single beautiful oak leaf together with an acorn. The two-headed eagle is a symbol appearing in Roman mythology associated with Janus – the god of all origins, guardian of doors, gates, passages and bridges, the patron of allied agreements and arrangements. Heads facing the opposite symbolize the past and the future. The lightning bolts held in the claws of an eagle are a divine attribute, symbolizing strength and the power of creation and destruction. 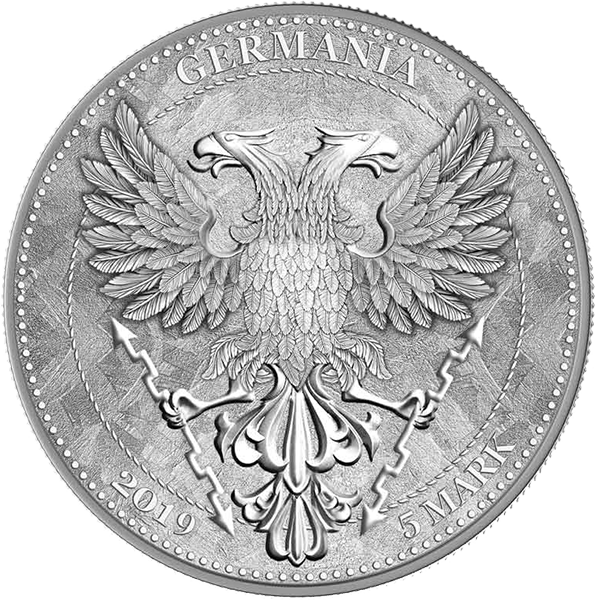 With the Oak Leaf we present a refreshed image of the effigy of Germania Mint.